While employers should embrace social media as a useful resource, they must also be aware of the legal issues that can arise. Join Dinsmore attorney Brian Moore for a practical look into the irreversible trend of using mobile devices, Twitter, Facebook, and other social networking tools and the potential impact they may have on the workplace, including hiring and firing decisions. A former Chairperson of the Defense Trial Counsel of West Virginia Employment Law Committee, Brian Moore’s business-oriented approach enables him to guide clients through a myriad of labor and employment challenges. He has guided employers through an array of issues, including workers’ compensation, sexual harassment, age discrimination, unemployment, unfair labor practice and union representation cases — advises them on policies and procedures to help them mitigate risk. 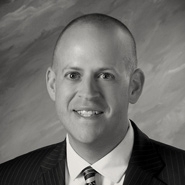 He is also an active speaker and writer on labor and employment law issues.